Federal Gold Metal 22 Long Rifle ammunition is a perfect choice if you need a match grade, high velocity round. 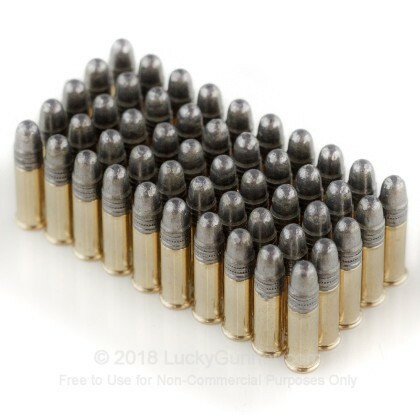 These 40 grain Solid point (LRN) bullets achieve a muzzle velocity of 1,200 feet per second. 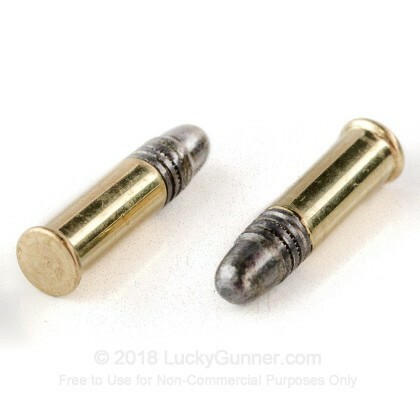 The Gold Metal line of ammo is geared towards the most serious competition shooters who demand quality, consistency and reliability in every round that they fire. 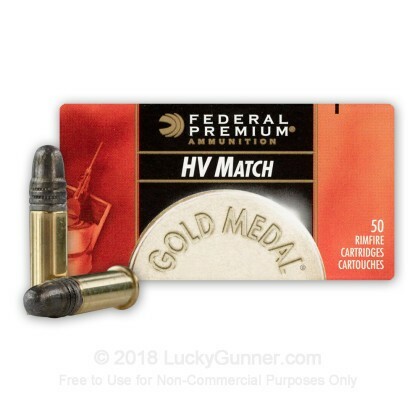 Whether you are shooting competitions or just looking for some accurate range ammo to improve your groupings, Federal Gold Metal Match will not let you down. 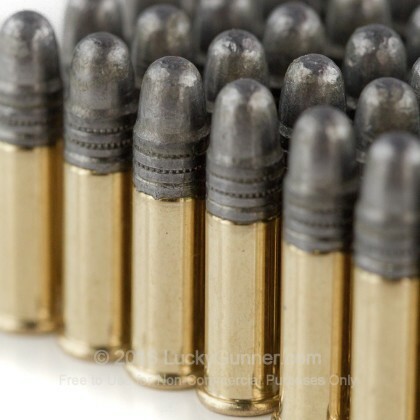 Federal Premium ammunition has been a staple in the American ammo market since the 1920's. With their headquarters in Anoka, Minnesota, Federal is a member of Vista Outdoors who owns several big name ammunition manufacturers like CCI, Speer, Estate and others. 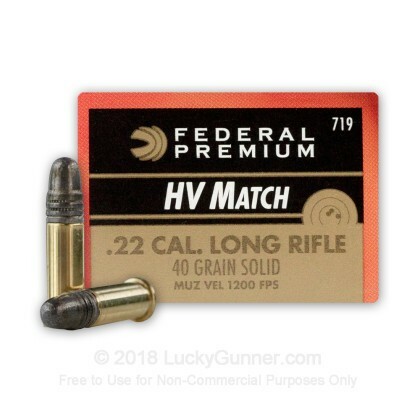 Pick up a few boxes of this top-of-the-line match grade 22 LR ammo today and see why so many shooters and hunters trust the Federal Premium name! Semi-Auto Pistol doesn't like it, Bolt Action does not mind it. I've fired this stuff in a P226 and a Ruger American Rimfire. The P226 does NOT like this type. I had numerous failure to extracts and several duds/failure to fire (at least 3-4 per box of 50). However, my rifle does not mind this stuff, some batches-I get zero duds, others up to around 3 per box of 50. I won't fire this stuff in my pistol anymore, but I don't mind it in the rifle. Have two Ruger SR22 handguns. Ran my first box ever of Federal Gold Medal HV Match at the range today. Was I impressed! Ran like it was custom made for the Ruger SR22. Great groupings and 7 and 10 yards. Am buying more Federal HV. The guns love this stuff. No mis-fires, no stove pipes, just pure rapid and accurate shooting with this ammo.